The automobile sector is undergoing a massive change somewhat similar to the energy sector with the advent of new technologies such as EVs, sharing etc. Electric Vehicles are growing at a rapid clip. Moreover, an exponential growth in this category should be expected, given a parity is expected to be reached with internal combustion vehicles over the next 5 years. Sharing of cars has already transformed the sector with the likes of Uber having already captured a significant part of the growth. EVs have been criticized for running on electricity being generated by thermal power plants which are polluting and not really green. This problem is particularly acute in countries which are still significantly powered by fossil fuel sources. Some companies have tried to mitigate this problem with solar power EV chargers but most vehicles are still using fossil fuel sourced power. 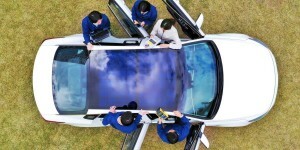 Now Hyundai has come up with an innovative new concept of using solar panels on the roofs and hoods of cars. 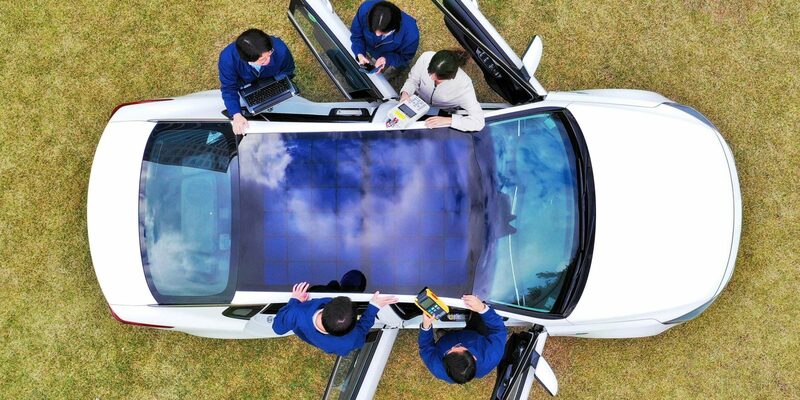 While these solar roofs will not be able to fully power the vehicle, they could still supply a significant part of the power demand of EVs. Hyundai and its sister concern Kia are putting a significant amount of money into this new technology. Also read, Solar Powers The Indian Navy Now! The two Korean companies plan to start introducing this technology from 2020 onwards and they would be used not only for EVs and hybrids but also the normal IC powered vehicles. There will be three generations of this technology which is being developed. The second generation technology is interesting as it has a semi-transparent solar roof. Not only will this help in charging the vehicle but also will add to the aesthetics of the cars. The integration of solar panels into different modes of transport is not a new thing with trains, ships and other models of transport already piloting solar energy generation units. With the cost of solar energy falling each day and new technologies being developed we should see more and more transport companies using solar power in their vehicles. BIPV technology which has not gained traction in a long time can also be used for such applications as it can integrate easily with different kinds of surfaces.